Monday, April 16 from 5-7 p.m. 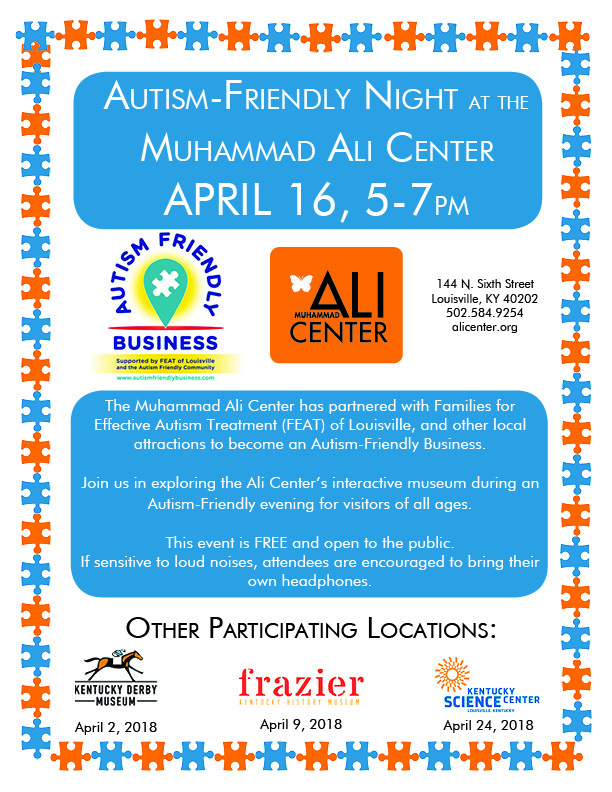 In partnership with Families for the Effective Treatment of Autism or FEAT, the Kentucky Derby Museum, the Frazier History Museum, the Muhammad Ali Center and the Kentucky Science Center are each offering FREE Autism Friendly Nights in April as part of Autism Awareness Month. 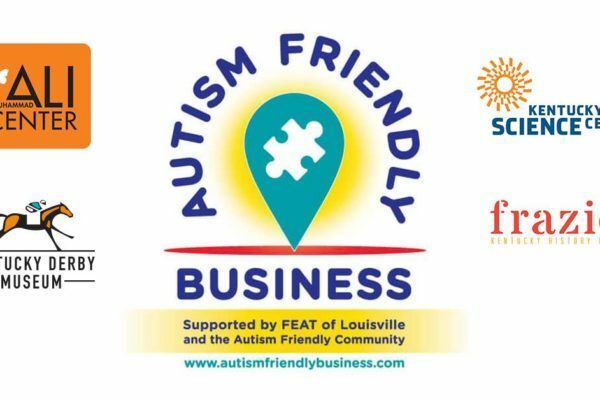 Each evening runs from 5-7pm at a different attraction...April 2nd at the Kentucky Derby Museum, April 9 at the Frazier History Museum, April 16th at the Muhammad Ali Center and April 24th at the Kentucky Science Center. Each evening will provide kids, adults and their families an opportunity to enjoy each attraction in a more accommodating atmosphere.